Every culture has traditions that need to be cherished and remembered – things that make that culture unique and that give pride to the people that live within it. These traditions are a reflection of all the individuals of the past and the environment which nurtured them. 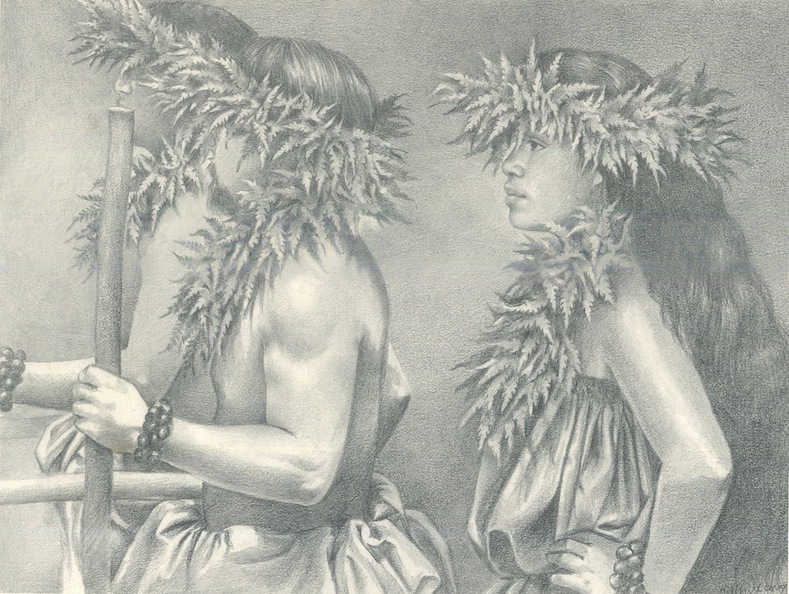 Many places in the world have sand and sun, but nowhere else will you find the Hawaiian culture. 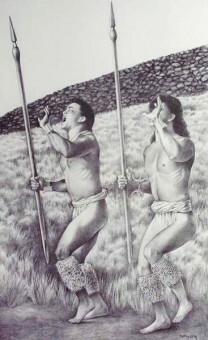 In this piece I have done my best to accurately record several dancers of Halau O Kekuhi who earn the respect of all Hawaii for preserving this unique and beautiful part of their heritage.